There's an RTÉ Investigates special about Ireland's housing crisis, Channel 4 looks at the World's Weirdest Homes, and 9-1-1 gets kind of spooky . . . 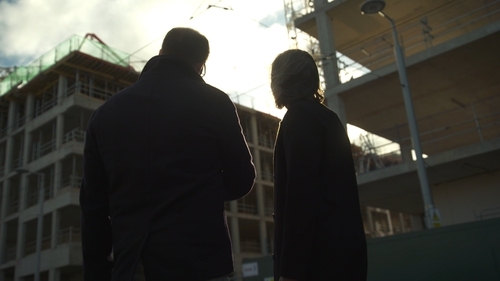 This RTÉ Investigates special documentary examines Ireland's housing crisis, how residential land is not being developed anywhere near the scale required and how the government is failing to deliver on its Rebuilding Ireland programme. From a giant sandcastle and a farm that floats on the ocean, to the tallest single-family home on the planet, Charlie Luxton explores jaw-dropping homes, and examines why the people who live in them choose to escape the everyday world. The funny, heart-warming and insightful programme meets a Bible-obsessed Dutch entrepreneur, a group of scientists pretending they live on Mars, and a billionaire YouTube celebrity with his own zoo full of wild animals named after Versace, Gucci and Paris Hilton, revealing what it takes to live in a one-of-a-kind wonder. In this documentary citizens of North Korean reveal what it's like to live in the world's most secretive country. Over the past 12 months, as Kim Jong Un's regime has dominated the headlines, Dispatches has been filming with defectors who are in regular phone contact with former colleagues and family who still live in North Korea. Steph McGovern, Matt Allwright and Nikki Fox expose more big names letting viewers down - with particularly surprising revelations about one name in particular. The customer service of the UK's big six energy companies is put to the test, another Rogue Trader is caught in the act, and there's one more outing for the Chicken of the Week. There are ghastly goings-on in this Halloween-themed episode, as the emergency teams race to the rescue at a cemetery, a haunted hayride and a spooky Hollywood parade. Meanwhile, Maddie thinks she has received a ghost call from a missing hiker, and Hen finds herself facing a life-ordeath situation with the father who abandoned her. As the criminal side of the business finally catches up with him, Miles has to navigate the fallout of the FBI raid. Meanwhile, Louis fights to keep his relationship with Gladys afloat, and Rick faces a difficult decision. Much to Bob’s amazement, tonight Vic debuts his new act for the Royal Variety Performance, and the pair of them embark on a ghost-hunting experience in - where else? - a disused toilet. Fans will be delighted to see the return of folk singing oddballs Mulligan and O’Hare with the classic ditty My Darling Rose, and there is a sketch warning of the dangers of wayward fireballs.